Augie Torres filed this request with the Prince William County Sheriff of Prince William County, VA. I wanted to follow up on the following Virginia Freedom of Information Act request, copied below, and originally submitted on March 14, 2018. Please let me know when I can expect to receive a response, or if further clarification is needed. 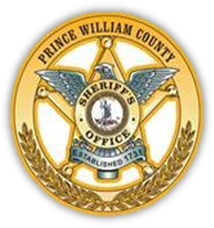 In response to your follow-up FOIA request, the Prince William County Sheriff's Office did receive your request on March 20, 2018 and sent a response letter by mail on March 20, 2018. Attached is a copy of the letter sent. The information transmitted is intended solely for the individual or entity to which it is addressed and may contain confidential and/or privileged material. Any review, retransmission, dissemination or other use of or taking action in reliance upon the information by persons or entities other than the intended recipient is prohibited. If you have received this email in error, please contact the sender and delete the material from any computer.